While many people know that thyroid malfunction contributes to fatigue, brain fog, weight gain and a lower body temperature, they do not realize it can also cause hair loss. Thyroid hair loss is one of the most common and distressing signs of an underactive thyroid. The thyroid is a butterfly-shaped gland located in the front of the neck that generates metabolism-regulating hormones. Depending on whether a thyroid is underactive or overactive, it can slow down or speed up your metabolism. Hair loss is another clue that thyroid hormones are imbalanced. Too much thyroid hormone causes your hair to thin. However, too little thyroid hormone causes hair loss on the scalp and body. The thyroid hormones fuel up day to day function of the hair follicles. This means a drop in thyroid hormone levels can cause significant hair loss all over the scalp. A landmark study published in The Journal of Clinical Endocrinology and Metabolism established this important link between thyroid health and hair loss. The German researchers made their discoveries by studying actual human scalp tissue taken from people who had undergone recent cosmetic surgery. Their investigations revealed human hair follicles are direct targets of the thyroid hormones thyroxine (T4) and triiodothyronine (T3). These thyroid hormones play an important role in regulating the natural growth and shedding cycles of hair. Most importantly the thyroid hormones activate the growth of new hair. When there has been a drop in thyroid activity, a return to normal thyroid hormone levels can help revitalise the hair follicles. Over time this can help halt hair loss. We all know stress is not good for overall health. When it comes to thyroid health, too much stress slows thyroid function. Extreme emotional stress, childbirth, surgery, or chronic infections are just some of the stresses that can have a negative impact on your thyroid. A drop in circulating thyroid hormone levels can set off a range of hypothyroid symptoms. It can be common to experiences sudden or greater thyroid hair loss soon after experiencing high amounts of stress. Hair loss associated with low thyroid hormone activity is different to female pattern baldness. Female pattern baldness usually starts on the crown of the head, or there is noticeable thinning on the top of the scalp. This type of baldness is due to the action of androgens. This term is used to describe the male hormones that should only be present in small amounts in women. When women have excessive levels of androgens it can stimulate male type baldness. This is the type of baldness commonly seen in men. Is this hair loss permanent? Usually hair grows back after the thyroid disorder is treated. Ironically, one of the more common underactive thyroid treatments, the hormone levothyroxine, contributes to hair loss. Generally, this side effect eases after a month or two, and the hair loss itself is reversed when hormone levels stabilize. Once you begin treatment for thyroid dysfunction, it may take some time before your hormone levels stabilize. You might feel more comfortable wearing a wig or hat as your hair grows back. You can also ask your doctor about topical medications that spur hair growth. 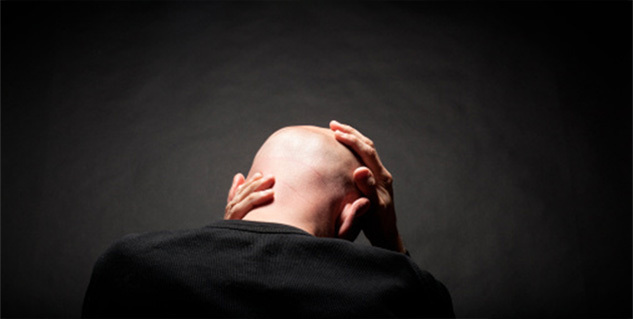 Alopecia can be a frightening occurrence for men and women alike, and it is often misunderstood. 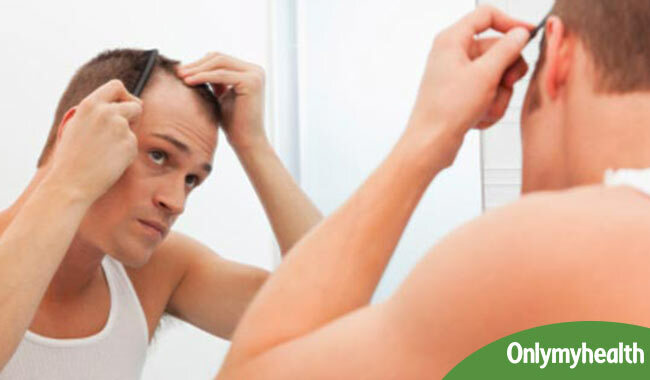 At the first sign of hair loss, talk to your doctor so that you can begin the journey of restoring yourself to health. Understanding that treating your thyroid imbalance can help your alopecia can be an empowering step. Finally, try to relax, and know that your hair loss is only temporary. 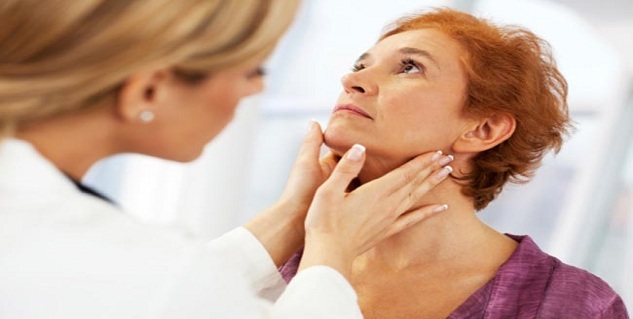 Read more articles on Hyperthyroidism.